Hi there. I am interested in going out to spearfish. I only have snorkling gear and a scuba skin. I could purchase a gun, but I want to see what spearfishing is like first. I know once I go, I will be hooked. Let me know if you are interested in going. I have transportation means and would like to find some good spots to spear. I don't have any extra guns at the moment . Ijust have polespears and they are hard to use.  Have you done any freediving at all? I usually dive in 30 - 60 ft of water also. And what is your schedule like and where abouts you live? Been on the island for a few months now, looking to get out spearfishing soon while all this good weather lasts. Let me know if you are interested. Onna Village anyone? Alright man, are you on Foster? Kadena? Also just curious AF USMC USN? I work a good schedule especially for living on Oki. 24 on/24 off, with 3 days off every week so finding an off day is easy. Have you been out before or know of any clubs on the island? Going out today to Torii Beach or Ikei Island, whatever is best. Will be out around noon if anyone is up for going. Hey man, sorry I didn't get your message til' sunday morning. We ended up North of Torii Beach near the harbor. A little bit of a swim but a hell of a trip. once you hit the drop off, its a good 30 ft depth. We had a white tip shark sittin under the rock so watch your six. Tons of oppertunity for shooting though. No GT or grouper like we wanted but tons more that were shootable. A little choppy but we had the float tube to rest on. Lets plan for something next week if you have time off. Also just checking, you werent a TI back in 06 were you? lol, whew good thing man cause I was about to say way to small of a world. This next week, Monday Wed Thurs would work. The wall north of the harbor had a ton of parrot fish, plus the shark. Good place to try if you are near there. Would like to get an early start around 830-9 depending on the tide. I'll spread the word here at the station and we'll see you this next week. Hello i'm new to this forum and came across your posts reguarding spearfishing and I was wondeing how y'all are liking it so far? I'm in the AF and currently at Osan AB and headed to Kadena in July, if any of you area still in the local area and go out on a regular basis and got room for a extra person I'd appreciate it. Sure thing just hit us up when you get here. Got a question with everything going on on the main land is that having any effect on local fishing areas around that area? Also I'm a avid bowfisher and was wondering if you know of any laws that would prevent me from being able to us it every now and then? I don't think it has affected the fishing here, I went out last Sunday and everything seemed normal. Not sure on the Bowhunting, sorry. But as always don't ask a question you don't want the answer to. Guys, I'm looking to increase my opportunities (and abilities) for free diving/polespear fishing. I've been on the island for 7 months and have done a bit, but I'd like to get out more (with someone for safety). I live in the Kadena/Torii area. Let me know if I can tag along sometime.